You need commitment to launch your tech startup, and that means commitment at a financial, technical, and emotional level. Nobody ever said that it was going to be easy. You can have the best startup idea in the world, but if you’re lackadaisical about putting your idea into practical terms, then you might as well stop now. The difference between startup success and failure usually comes down to commitment. However, there are some additional factors that your tech startup is going to need to consider if it’s going to launch well. It’s only by giving some thought to every potential danger your startup faces that you will be able to face adversity and start growing your business in the right way. If you don’t know who your customers are likely to be, then your business will suffer as a result. After all, if you don’t know who your customers are then how are you going to satisfy their needs? That’s why you should always start your business plan off with some valuable market research. Your startup needs to be solving an issue, and by being aware of who is most likely to suffer from that issue, the better chance you’ll have of creating the right targeted advertising campaigns and marketing strategies. There are some very productive methods for getting the best market research results possible, so use a variety of platforms and question types in order to build up as accurate an idea of your average customer as possible. For tech startups, the question of security is often solely focused on making sure that firewalls and antivirus software is up to date. Of course this is important, and your online security will need to be addressed on a regular basis. What most startups neglect to consider is their real-world security. This can become a very swift and damaging issue, especially if your business premises are broken into and valuable equipment or data is stolen. Never forget your offline security needs, and make use of alarm systems from Eurolinksecurity.co.uk that will protect your equipment, your data, and your company. Working in a more secure environment can work wonders on your productivity and your creativity as well, because the less time you spend worrying about locked doors and access points, the more time you have to focus on attracting more clients. Your tech startup is going to need some financial backing. It’s challenging enough starting a business, but without any money to fall back on it becomes nigh on impossible. For startups, there are a number of potential avenues for funding that are worth exploring. From loans to crowdfunding, the method for raising the capital that you need will be up to you and your credit score. However, one of the most popular methods for funding a startup in the digital age is the concept of bootstrapping. This is simply a business model where you use your own money to run and manage your business, and funnel any profits directly back into it. This creates a self-sufficient funding model that gives you far greater control of your budget, and forces you to become more creative with problems and solutions. There are many challenges to starting your own business, and that is especially true if it’s a startup. Be aware of the challenges facing you, and you will be far better prepared to succeed. A large-scale change may be coming to Facebook and judging by the overview in this Medium.com piece, these changes could completely upend how brands interact with users on Facebook. 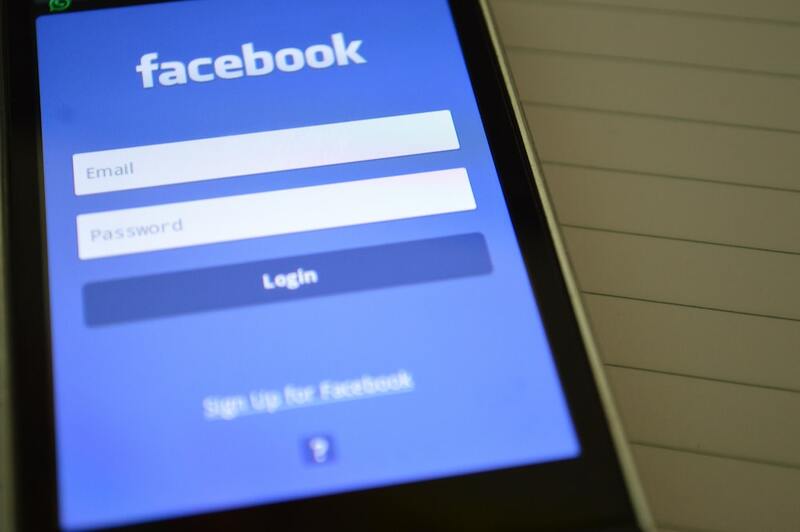 So if any part of your business strategy is budgeted toward Facebook, you should be preparing strategies to address these changes. But what’s the cause of this? It’s something Facebook calls the Explore Feed and it has the potential to drastically decrease the organic reach brands have on their site. With the Explore Feed, Facebook is essentially splitting their platform in two. On one side you have the new feed, which will be made up of pages vying for likes, shares, and engagement from Facebook users–all in the same spot. And that’s only if the user clicks over to that feed. And on the other side, you’ve got the new, and “improved” newsfeed. Here users will only see content from friends and posts that are sponsored. The introduction of the Explore Feed will likely not hurt the big brands since they’ll be fine paying for what would now be a more exclusive space. But what if you’re a smaller business that relies on organic views and interactions to get people interested in your product? Probably nothing good. Here’s a graph displaying the difference in page interactions before and after the Explore Feed launch. The Facebook Explore Feed is something that’s only being tested in a select number of countries and regions. For instance, the graph displayed above is taken from the sixty biggest media pages in Slovakia. Also, Adam Mosseri, who’s the Head of News Feed at Facebook, has said the company has no plans to launch the new feed globally. He also stated that this is just a test and it’s something they’re still tinkering with. So take a deep breath. Rome isn’t on fire just yet. But that doesn’t mean you shouldn’t.. In truth, it doesn’t really matter whether or not Facebook launches the Explore Feed. Because sooner or later they will launch something. And if your business relies on Facebook you have to be cognizant of the fact that the platform could essentially change overnight. Sure, it could change in a way that vastly improves your prospects, but it could also change in a way that leaves your marketing plan in shambles. Hope for the former but you absolutely must plan for the latter. Here at 3PRIME we ensure that your business stays at the forefront of your industry–right where potential clients can find it. We do this by taking a holistic and diversified approach to design and marketing that doesn’t rely too heavily on any one platform. The internet is always changing and you’ve got to work hard to change with it. That’s where we come in. 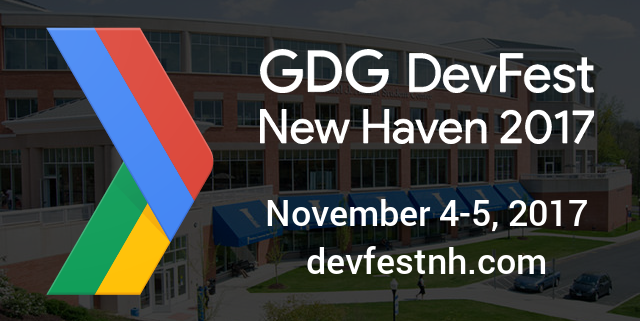 DevFest New Haven is organized by GDG New Haven and supported by several local businesses and universities. DevFest New Haven will be held November 4th and 5th at Southern Connecticut State University. Google Developer Groups (GDGs) are open, volunteer communities of programmers and geeks who share a passion for learning about Google developer technologies. There will be a number of awesome guest speakers including Mark Lassoff from Learn to Program, Tessa Park from 1010 Data, Allen Firstenberg, and Chris Welty both from Google. We are really looking forward to DevFest New Haven, the 3PRIME team will be headed to there on November 4th and 5th. Kudos to our friends at Checkmate and GDG New Haven for putting this together! Want to join us at DevFest New Haven? Use 3PRIME20 Promo Code Here & Save 20% on this Amazing Event! As the old adage goes “variety is the spice of life.” Everyone likes to have options and choices, your customers are no different. They are going to be looking for different services and products at different times. 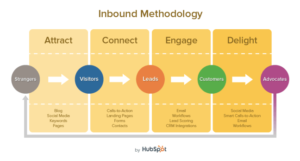 It’s important that your digital marketing efforts both appeal to these potential customers at these different points and fully encompass the entire breadth of your business. By having more ads running in your Google Adwords account you open up more possibilities of offering exactly what your customers are looking for at a given moment. According to Google, having more ads in your account leads to more impressions and more clicks. Since they are always looking for ways to help their customers increase online interactions, Google is implementing a new beta feature for Adwords. Essentially, Google will examine your current headlines, descriptions, ad extensions and relevant information found on your ads’ landing page to auto generate new ads as a way of expanding impressions and clicks for advertisers. This new feature will begin testing on September 24, 2017, and Google will notify all advertisers 14 days in advance of any auto ad creations. This will give time to review ads and decide whether to implement them or not. If no action is taken the new ads will begin to run after 14 days. Reaching more people and adding more variety to online advertising efforts without having to put in work seems like a winning proposition- and most of the time that would be true. But it is always a good idea to keep an eye on all the factors of your online advertising efforts- including budget, keyword review, and conversion rates. As a certified Google Partner and Adwords expert, 3PRIME monitors each advertising account closely for any changes or impacts that new ads or policies may have. And while reaching a wider audience and more potential customers is great, there is also the need to ensure that you are targeting the right audiences and that any new ads – especially auto generated – aren’t bringing empty clicks to your website with little chance of increasing your business or gaining a new customer. If you are planning on taking advantage of this just be sure that someone is monitoring your account so you don’t end up spending money on underperforming ads. Google My Business now has a new feature that allows businesses to get customers even quicker than before. Since it is so competitive out there for businesses, it is crucial to be there for your customers when they need you. If you are not there at that exact moment that they need you, then they will just go to one of your competitors. Google My Business is now making it easier to connect with potential customers by providing an area in the Google My Business Listing for the customer to send a text directly to you. Since small business texting is the most underutilized tool in business, it is the time that you try beating your competition by using this method. Knowing that almost everyone is now texting, it is just another reason to get your business on the SMS bandwagon. GMB has an option to call, but many times this will lead potential customers with your voicemail. Do you really want to leave your customers waiting? Most of the time, customers will just hang up and call another business that is available when you aren’t to do the same work. To get your business to step into the digital, mobile first age, you must get your customers texting. Text links to your customers to get more reviews for your business. This is not only a much easier way of getting reviews but the more good reviews you have – the more customers you will have. People do not want to go to a business without reviews, and 90 percent of new customers will look at reviews before visiting your business. How Does Texting Increase User Effectiveness? Texting increases user effectiveness because text messages will get read with a higher response rate than emails or phone calls. It is also an immediate form of communication. It does not require a lot of effort for the customer or for the business owner. It’s relatable and personal as a majority of customers in the U.S. have their mobile devices 24/7. Text messaging also does not need a connection to the internet, where email marketing would. Email marketing response rates are a lot lower than text messaging because of this reason. Customers can easily opt-in or opt-out of messages, which makes the benefits of texting hard for a business or customer to ignore. You can follow-up with potential leads by texting people who have expressed an interest in what you do. Since many salespeople face the challenge of getting responses, contacting potential prospects is a smarter way to get an almost guaranteed sale. Since people are searching numerous businesses on Google who do the same thing you do, you have to stand out to them. You must react first to get the customer every time, and the quickest way to reach them is through text. 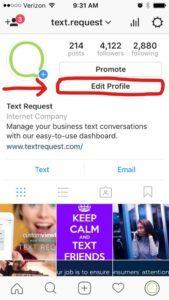 Many social media platforms are already including a ‘click to text’ button like Instagram. This allows you to engage with more customers on a quicker basis. This effortless business strategy will help to build your customers and reputation while allowing you to be more familiar with the mobile age.